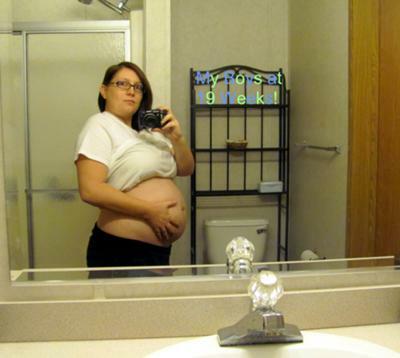 I am currently 20 weeks pregnant with Twin boys! they are 11 and 12 oz. And I am growing by the day. I don't feel so alone anymore:) I am 19 weeks pregnant with boy/girl twins and I am huge. My husband has all of the pics of my belly but everyone was telling me I am getting too big. I am having a lot of trouble walking. Are you having any issues?